WILL Interactive is a pioneer and industry leader in using the power of stories to solve your toughest training and behavioral challenges. You become the lead character in an interactive movie and make choices that change the story. We create experiential learning that delivers proven content retention and behavior change. 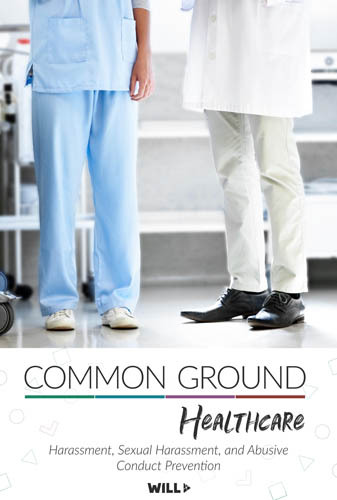 Common Ground Healthcare is WILL Interactive's flagship training for the prevention of harassment in healthcare settings. I'm confident your work has saved lives.